No cards to show you today, but a lovely card that I received from the very sweet Renata. She's made this card and sent to me together with tons of fun images. She included a very cute stamp-set from Holland. I love it! Hope to be able to play with them soon. Thank you so much dear and I will do some serious stamping for you tomorrow night when I'm home from another busy week at work. * Open the folder "my pictures". * In the 6th folder, take the 6th picture and post it on your blog. * Write something about the picture. * Challenge 6 new people to join this challenge. Well - now I need to attend to the poor little sick men that I have here in the house. 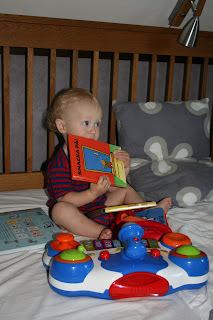 Here's just a very quick post from me today - and almost too late, since it's 23.15 here now. But I needed to post this b'day card for my Godson Johannes (my cousin's son) who is celebrating his birthday today! So this one is for you my little one: Ja må han leva! Ja må han leva! Ja må han leva uti hundrade år!.....We are thinking of you and sending tons of warm hugs to you in Vienna! Try it out Tuesday - Gift box with "Apelsin Choklad Skorpor"
This week we should make some kind of package or a small gift wrapping, box or bag. We should aso use any supplies from Susana's store and a *NEW* Karen Lockhart image. Have you seen the DPs from the Laura Ashley Contemporary set that Susana carries? I just love them and that's why I used three sheets to make this box: one for the base, the second one for the inside of the box and the third one for the lid. I added a choc chip ribbon (SU) around the edges of the base + around the middle of the base. Then I cut out the butterfly with my Nesties and added some Coffee Shimmerz around the edges of the circle. I coloured the little butterfly with my copics and added some stickles on the green part and Shimmerz on the white wings. anything that would fit. So instead I decided to give away "Apelsin Choklad Skorpor". What's that you say? Well - it's Orange Chocolate Rusk in Swedish. Wish I could send you all some to try for your coffee or tea. I hope that you will play along with us and if you do - please upload your project on SCS or PCP with the key word "TIOT3". Also don't forget the Lockhart Promo that Susana is having. PS. Oops - I realized that I forgot to take a picture of the inside of the box - I will do that tomorrow and add to this posting. I am glad that I at least had some time to alter this gift bag for a friend of mine. Her b'day is coming up soon and she works as a nurse - so what better image could I use than the Nurse Anya from the Greeting Farm collection. I coloured here in with my aquarelle chalks. The paper is from the Bittersweet Paper Pad set - to be honest - it's really hard to cut that paper - just love it! I also had to try one of the new Bittersweet Glazed Brads - they are also like real jewellery. Ribbon from SU as well as the text stamp. I can't tell you what's inside - since she might be reading this, but I do hope she will be pleased. 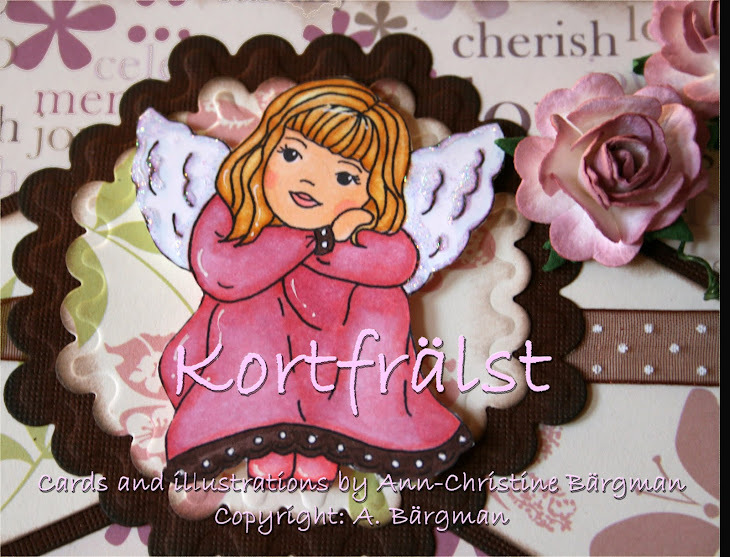 Kramisar and hope that I will get more time next week to create some cards and visit your blogs! I am a little bit late with the posting this Tuesday, because I was waiting for this lovely DP to arrive so that I could use it for this weeks challenge . I was lucky - it arrived in my mailbox yesterday together with some other yummy things that I had ordered from Susana. This weeks challenge is to use any stamp from Susana's store, any Dovecraft/Laura Ashley Paper on our card with only two other embellishments. Extra credits if we would use Shimmerz (luckily I had ordered some - need to try new things - right?? ;-)The DP should be at the center stage and only 2 embellishments! Can you imagine how hard this was ;-)) Normally you put the image in the center..... Well it really helped using this lovely DP from Dovecraft - called Fantasy together with the "Riding the Breeze" stamp. I wanted it to look like that she was in the land of dreams - since the DP fairy was white and all the swirls on the DP. I also decided to have a go with new copics. So hard it is to change to another way of colouring, but I need to have a go with the copics as well (realized that I need more colours of course and much more practise.... any great tips ladies are greatly appreciated - such as what paper you use and tutorials etc (I normally use my aquarelle paper when I colour with SU markers, but that does not work with the copics so...) As for the embellishments - I picked flowers and Bella Baubles "String of Pearls". I added some Shimmerz to the wings (blue, pink and angel white)+ to the DP - hope you can tell from this picture (on the flowers, stars, shoes and wings - the fairy on the DP was white otherwise). The flash reflected against the Shimmerz - so it was a little bit difficult to get a good shot of this card this hour (it's pitch black dark here in Sweden). It's late here so I better go to bed, but if you'd like to play along just upload to PCP or SCS using the keyword "TIOT2"
I have made the following sketch for you ladies and I would like you to use Spring colours on the cards/projects that you make. I do hope that you will participate in all the fun. For more details - go directly to our Challenge blog. The Challenge will be uploaded during the day (some time difference between Europe and Hawaii :-)) There you also find all the DT cards to hopefullly be inspired from. Well - I do hope you like both the sketch and the card. Card recipe at the end. Kramisar and hope your week has started well. Flowers from RoP, spacers from my friend - Marlene, Charms from my DT friend Lim. I've received new awards again and thank you so much ladies! 1. You need to name 5 things you are addicted to. 2. 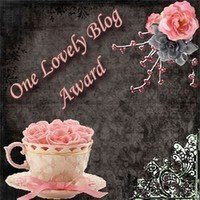 Put the award on your blog and link to the person who gave it to you. 3.Nominate 5 bloggers and leave a comment on their blog. 3. Blogging and finding new amazing, friendly and talented blog-friends all over the world. 5. Finding new things for colouring, or cardmaking - you can't get enough - can you?? 3. Judy - will be looking fwd to the day you come and visit us in Sweden. Then I received this one from my dear DT colleage for RoP - Peta. Thank you sweetie for the flowers. I am passing this along to all my blog-friends - it's always so fun when you leave your mark here. Kram and have a wonderful weekend! I hope everyone is doing fine and for those of you that are home with a bad virus (I know that many more than me have been coughing, having a fever and a cold) - rest, relax and drink something hot and pamper yourself with chocolate! Today it's our Valentine's Day! Yes - we have our own - one month prior to the real one. It's our engagement day today. My hubby brought these stunning warm red roses for me. They are so tall - so I could not take a good picture of them - therefore I am only showing you the close up. Well - need to go to bed now, but you find the Card recipe further down. * Colouring - SU markers, aqua paint brush. Highlights with stickles and white gel pen. * Other - Heart - made with flower soft wire, flower soft, scrappers floss. 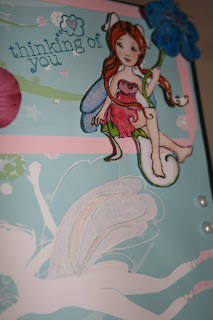 We are launching a new challenge called "Try it out Tuesday" at the new Susana's Custom Art and Card Design blog. 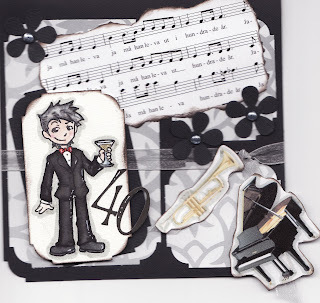 This first challenge is to create a card or project in black, white, grey and another pop colour of your choice. You should use at least one image from the stamps available at Susana's. You can upload your creations to SCS or PCP with the keyword "TIOT1"
Here's my DT card for this very first challenge. I decided to go with Jane from the Rubber Romance selection + the Happy Words stamp from Susana's own collection stamped in silver. Please read further down for all the card ingredients. Looking fwd to see what you ladies will come up with for our first challenge. So don't hesitate - pop over to the Susana's blog or PCP and participate in all the fun. * DPs: Silver Chandalier from daisydspaper.com and Formal Affair/English Ivy from scrapworks.com - both purchased in our local shop Pysselakuten. * Colours: Jane is coloured with my Dekorima aquarelle colours. Highlights with white gel pen, silver stickle and pink stickle for her lipstick. * Bling: Sliver Rhinestones as her jewellery from kaisercraft.com.au purchased at Pysselakuten. * Other: Flowers made out of cardstock and DP with my flower punch. Spacers received from sweet Marlene to add additional "bling effect" on the flowers. She is so kind and if you have not experienced her perfect customer service - then visit her shop and get to know her more. Amazing - that's the word that I would use to summarize Susana's person. I also got another sweet award. Thank you so much Jodi. Well - here it is the lid. I used the SU DP - just because I loved the colour and that it also had some flowers and butterflies on it ;-) I added some lace, dew drops and highlights with stickles and white gel pen. The butterfly charms have I received from the sweet Lim. I hope you'll like it. The base of the box is made out of blue cardstock. DP for the jewellry is from SU. I put my earrings that I wore on our wedding in the box - just to show you how it's supposed to be used. The earrings are from a Swedish Brand called Lavish Design. Tomorrow we will be dancing around the X-mas tree for the last time. It's an event coming up in our town where families are invited to participate. There will be tons of singing and dancing around the X-mas tree + Santa has promised to arrive in person to tell the kids to be good this year as well so that he will see them on X-mas Eve 2009. He will be handing out some candy too. I do hope that we all be well enough to attend and that we have had our share of virus for some time. 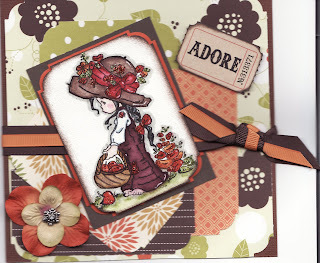 As you all have noticed - this weeks TIOT is a Try it out Thursday instead - due to our mini-release of the wonderful creations of Elisabeth Bell and Victoria Case for SCACD. is actually the text on one of the new Lockhart stamps available at Susana's. Have you seen the new one's? If not - then they are waiting for you to have a look at Susana's:-) You will find them under "New Lockharts". Also - remember that you will get to select a free IB (Itty Bitty) from the selection that's available at that time if you purchase any 4 regular Lockhart Stamps (any combination) from either the New or Previous collection (NOT including Itty Bittys). You do not need to buy all 4 at once. She has a punch card system and will let you know when you hit the 4 regular Lockharts! So pamper yourself this weekend and check out these new stamps as well of the other yummy stuff available at Susana's. My friend asked me if I could make a card for their daughter - who turns 1 in January. Of course I would. I am so honored, since this little card will go all the way to Taiwan. Yes - the cute little Linn lives in Taiwan at the moment, but soon her Mom and Dad will be able to bring her to her new country Sweden. I have also been inspired by Tammi and Rach to do some more work on the inside of the cards - so here is what it looks like. The best news is that they got the firm date as of when they all can be together in Taiwan TODAY! Just after Anna's and my lunchbreak together. I almost started to cry at work when Anna dropped me a note telling me the exciting news. I tell you Linn - you will soon learn that you've got the best parents ever! 1. Summer - for just being you! I am so happy that I've got the opportunity to get to know you. 2. Ulwa - for all the lovely comments and it's so nice to follow you and see how your talents just grow day by day. 3. Rosette - not only for the lovely cards you make but also for your fantastic work! 4. Claudia Rosa - have you seen her Valentine's box? If not - check it out - it's just stunning! 6. Lynn - for making the most stylish and posh cards I've ever seen. 7. Aija - for being such an inspiration all the time. Your cards "rock" my friend! Finally I got some time to play with Tiets lovely sketch over at Sugar Bowl. I am also trying to figure out our new scanner and how to scan my cards (I used to take pics of the cards with our camera). The colours really do not show off as in real life - I think it looks so pale vs the original. Any tips or ideas on how to improve the scanning are greatly appreciated. Colours: SU markers, highlights with stickles and white gel pen. The 3rd challenge is now up and running on RoP. I am a little bit late with this posting, since my batteries are not fully charged yet (due to my terrible cough that I do not seem to be able to get rid off). The third challenge is set by our own talented Susan . It's a colour change and she picked White, Grape and Evergreen. I must say Susan - you really made it hard for me...hihi..... Normally not the colours that I use, but I am sure that you ladies will make some stunning cards. I ended up colouring Edwin with Lantern with my SU markers and aqua brush. All papers, snowflakes and lace are from stash (the one with green and grape stripes are called Apple stripes - purchased in our local shop Pysselakuten). Sentiment - printed in "grape" on our new computer that Santa came with. Please remember to use a Magnolia, Whiff of Joy, Rachelle Ann Miller or Sarah Kay stamp to participate. All these brands are available at Summer's shop Roses on Paper. So what are you waiting for? :-) Head over and link to your entry on our Challenge Blog ! so don't forget to pop over to Danni and Christine's blogs today as it's their turns to share the Karen Lockhart projects. 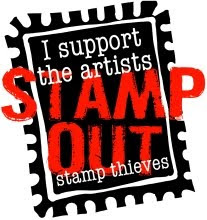 Remember to also pop over to the Paper Craft Planet Fans of Karen Lockhart group to get the chance to win a free KL stamp. So - what could I do? Well - of course I would like to start this new year with giving this award to all of my lovely visitors. It's so nice to read your comments and to be able to visit your blogs. It really means a lot to me - so thank you ladies for being so sweet - from every tiny corner all over the world. This award is for you! * Metal charm - I chose one of the hearts that I received from the sweet Marlene. If you would like to see a video tutorial on how to make one of these - please visit the lovely Angie's web-site. She is the one that gave me the inspiration from beginning. She has also man other lovely tutorials. Starting Jan 5th - if you purchase 4 regular Lockhart stamps (not incl. the Itty Bittys (IBs) you will get to select an IB gift available at Susana's. You do not need to purchase all 4 at once - Susana will keep track and inform you when you can choose an IB. 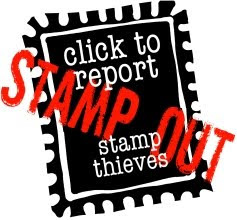 If you decide to purchase all 4 regular stamps at once - then note in your comments or drop Susana an email and she will include the IB of your choice with your order. Well - that's not all - there will be some Lockhart Web Candy available between Jan 5th - Jan 9th at the PCP Lockhart Fan Club Site (more details on how to win to follow). The prize will be another beautiful NEW Lockhart stamp colored & signed by Karen herself. So what are you waiting for ladies - pay Susana's shop a visit and make sure that you also leave comments in order to have a chance to win at the PCP Fan Club Site. Just a short note from me to secure that you don't miss the Lockhart countdown. 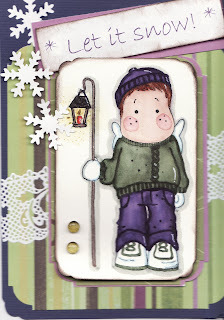 Karen Lockhart is releasing her new stamps on Jan 5th at Susana's Custom Art & Card Design. Susana's DT team are going to honor this stamp release with showing you Lockhart projects between Jan 2nd - Jan 5th. Susana will also be giving away an Itty Bitty Karen Lockhart stamp each of those days on the Paper Craft Planet site - Fans of Karen Lockhart group to ONE lucky member picked at random!!! 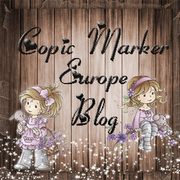 So don' forget to stop by the PCP Fans of Karen Lockhart group and leave a comment for a chance to win and get a sneak peeks of Karen's new stamps! A quick posting to wish you all a Happy New Year and all the best for 2009. I am so looking fwd to see what you all will be able to create and to follow your work for an entire new year. I have not been able to craft much during this X-mas break, but I managed to make this card (a special order from my neighbours). One of their relatives turn 40 on Jan 2nd and he loves music - so I thought Charlie Bond would be useful + the lyrics (in Swedish) to Happy B'day. Wish you all a nice relaxing first day of 2009!